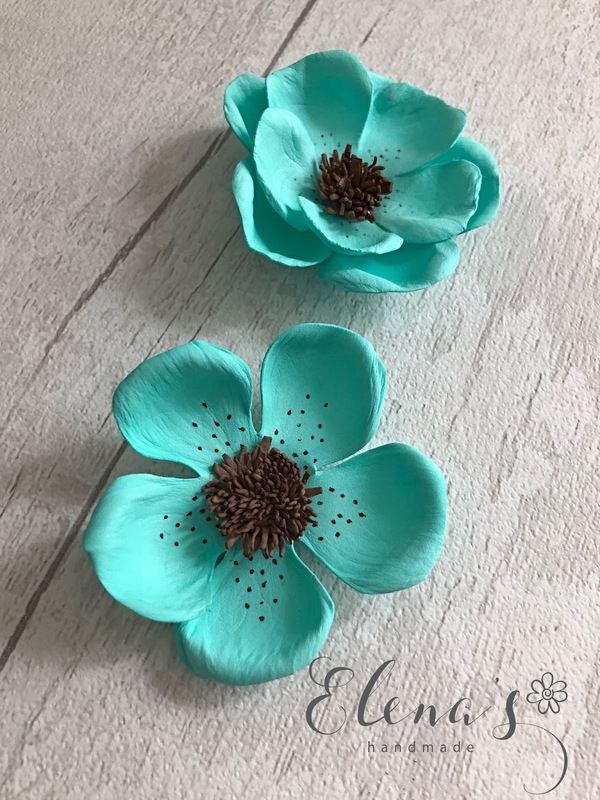 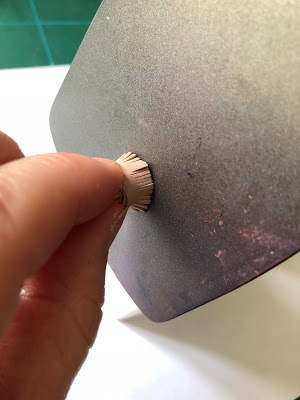 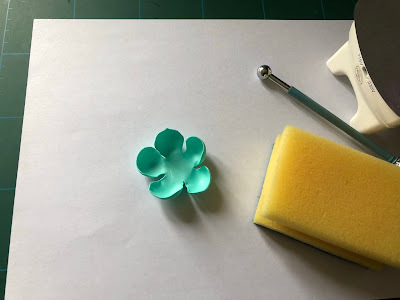 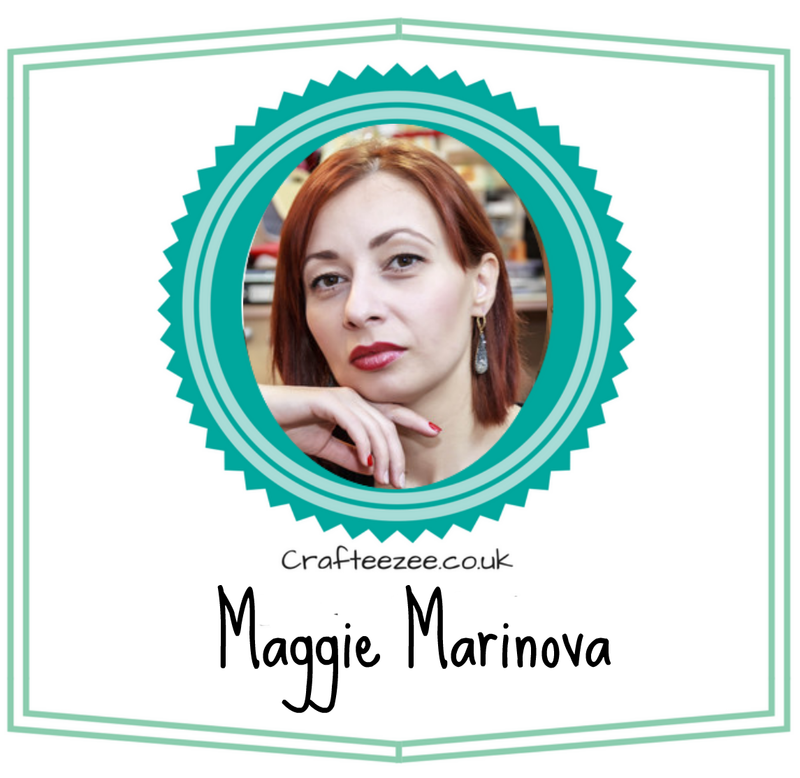 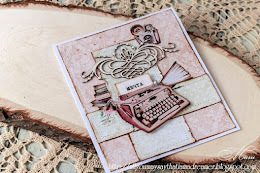 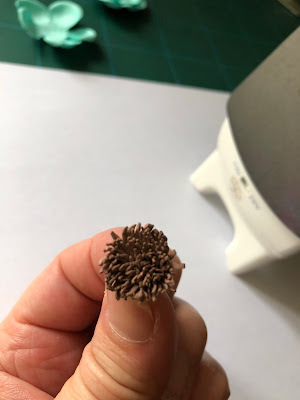 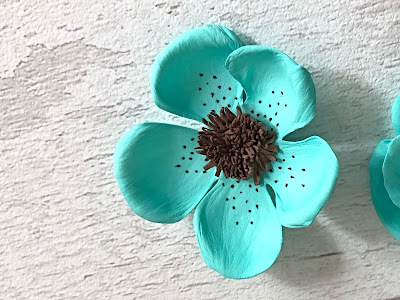 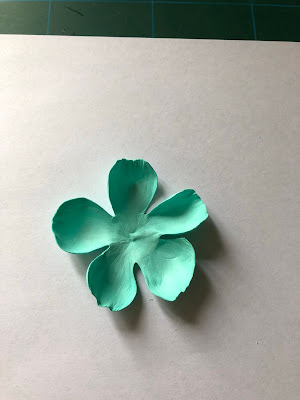 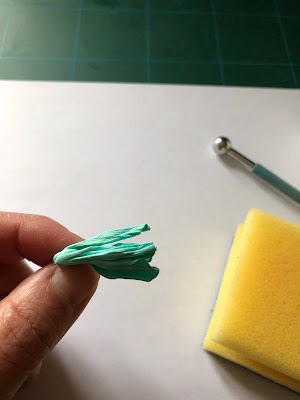 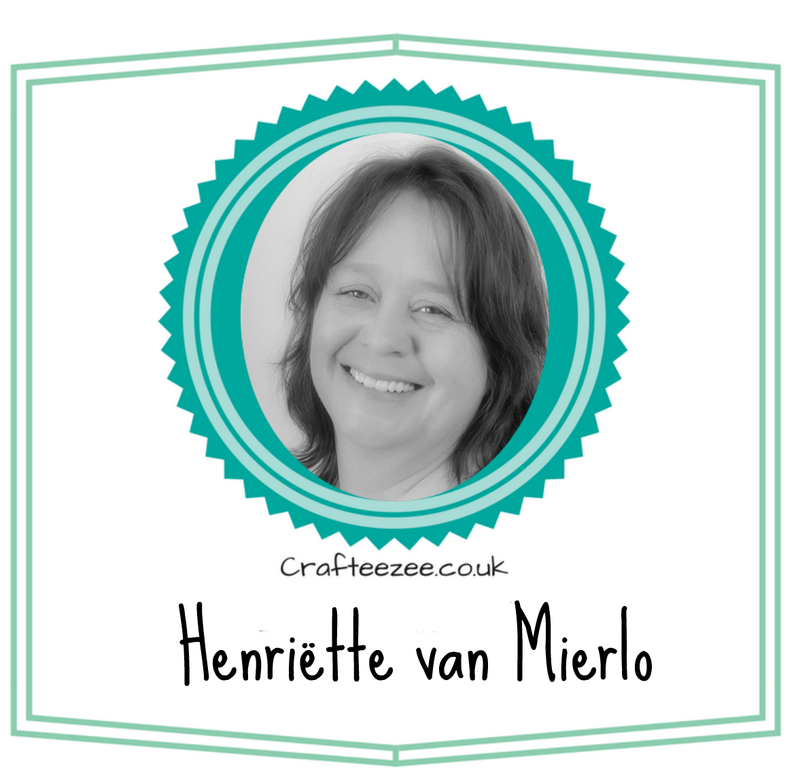 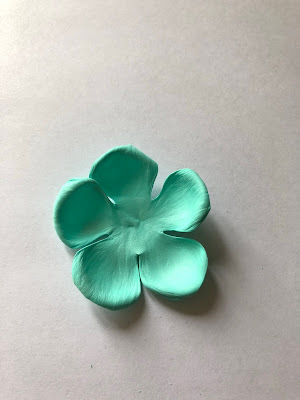 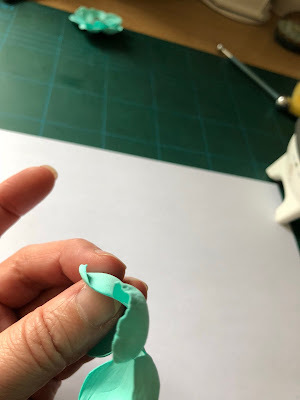 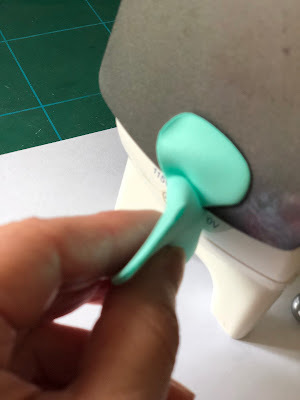 It's time for a tutorial in Noor Design U.K. today and I'm going to show you how to make this open flower which you can use in your scrapbook projects. 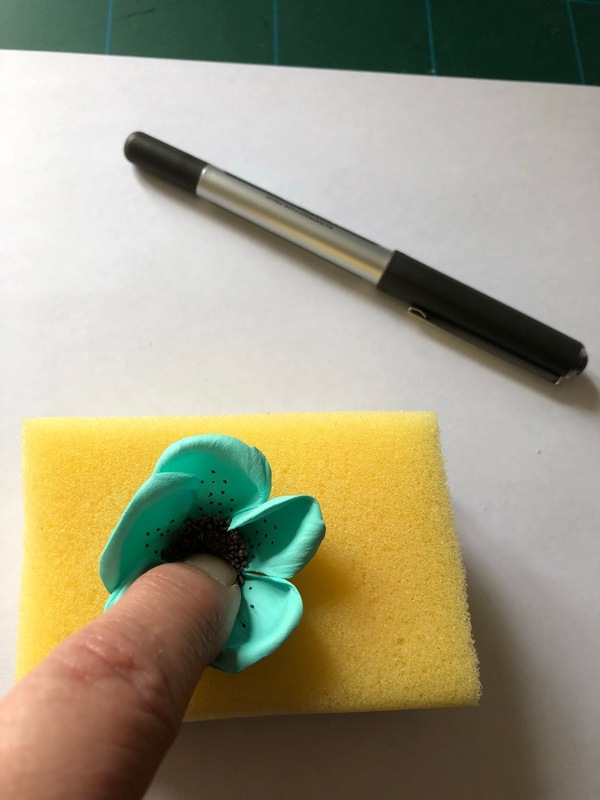 a soft pad (could be a kitchen sponge). 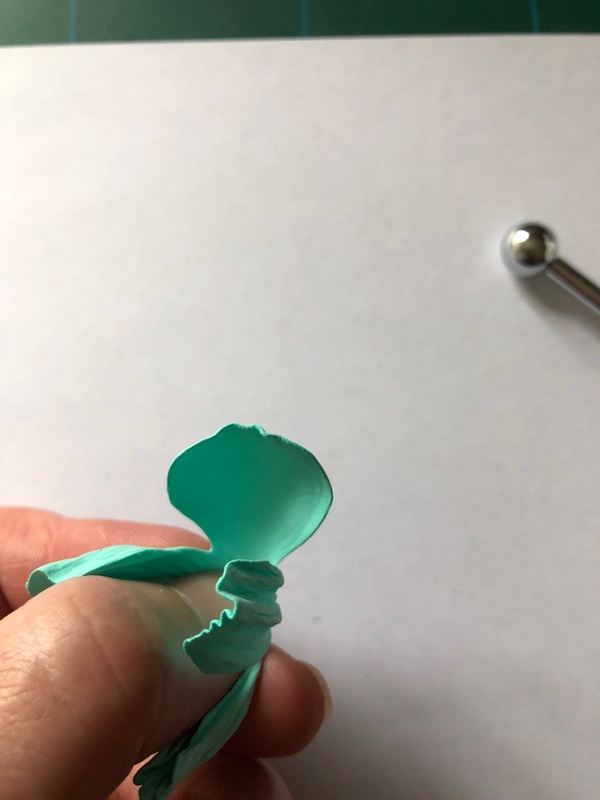 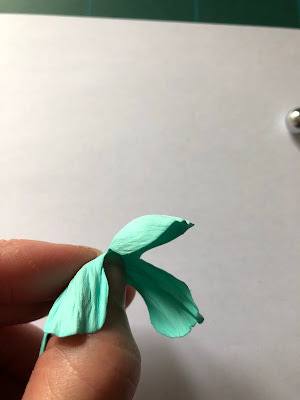 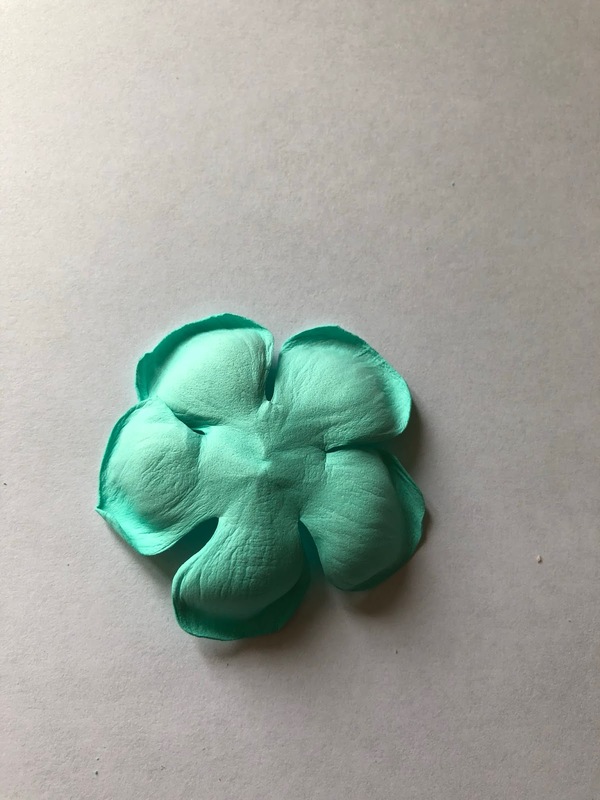 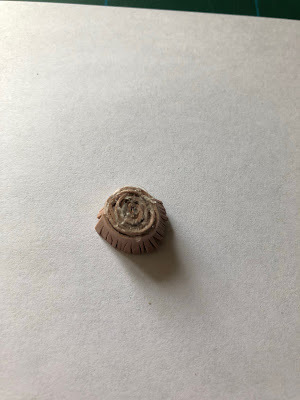 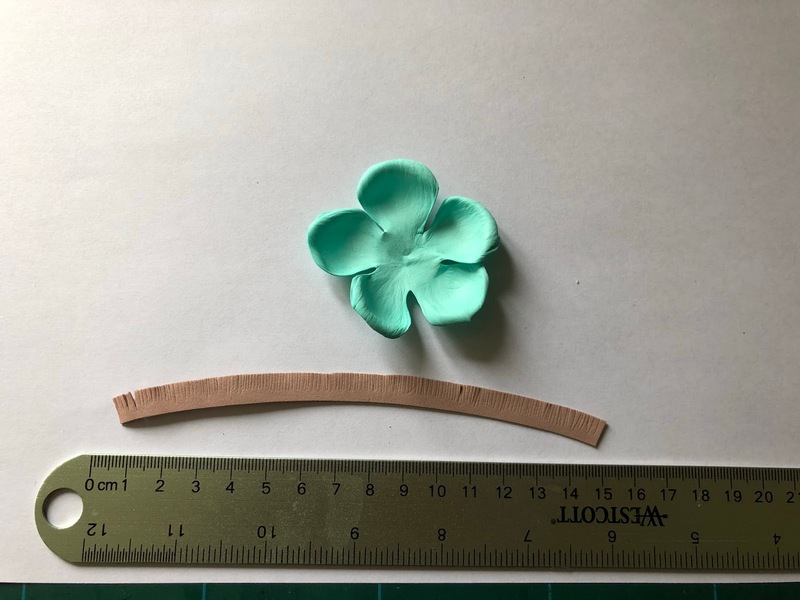 Fold the whole petal layer and roll it between your fingers. After that, restore the shape of the flower by gentle stretching each of the petals. 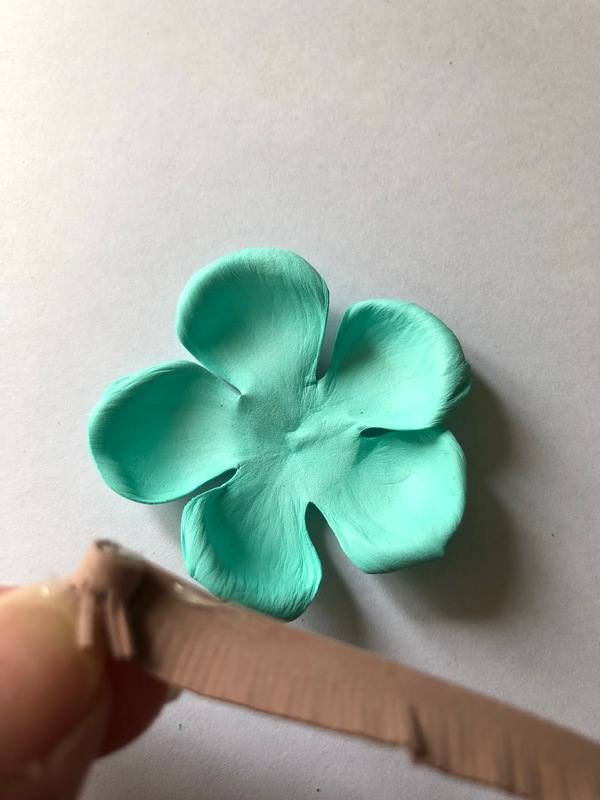 Roll the edge of each petal backwards. 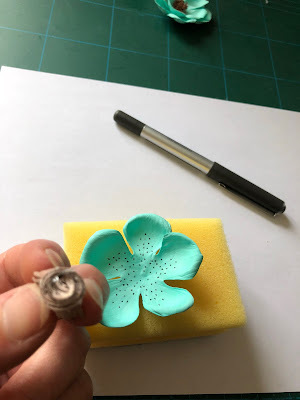 Now it's time to create the centrepiece of the flower. Cut a strip 15 cm long and 0.5 cm wide out of brown foamiran. 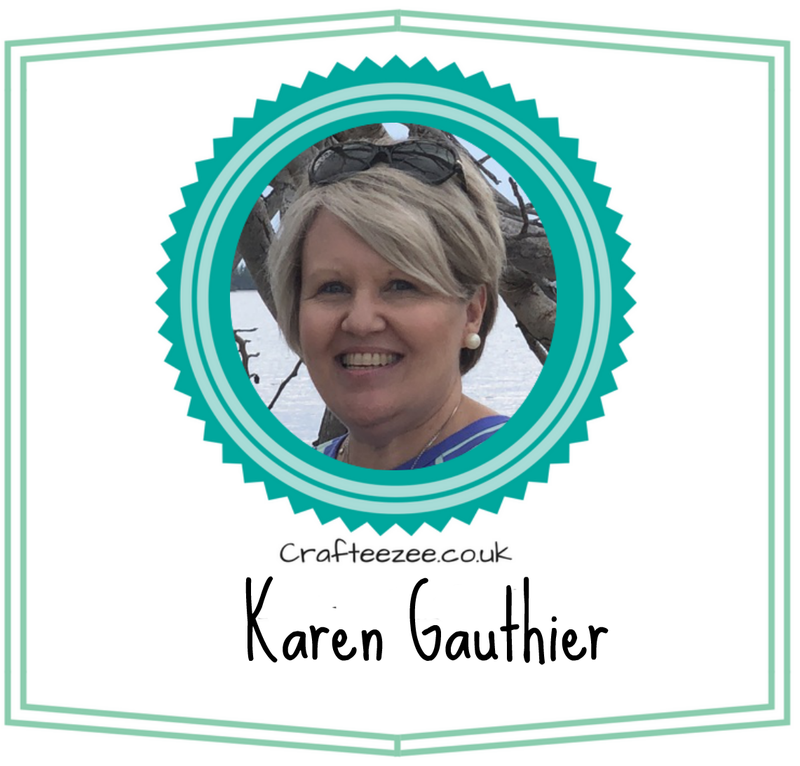 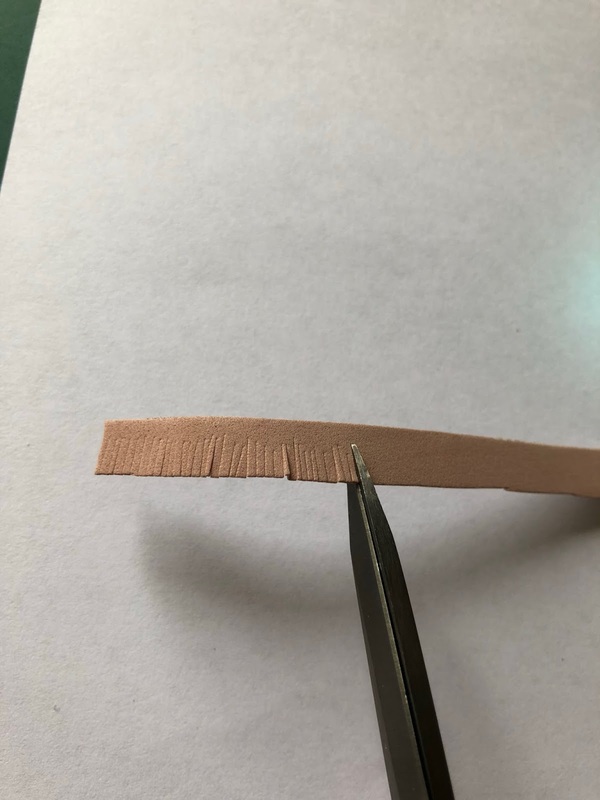 Cut the strip into short slits, roll it and glue it with a hot glue gun. 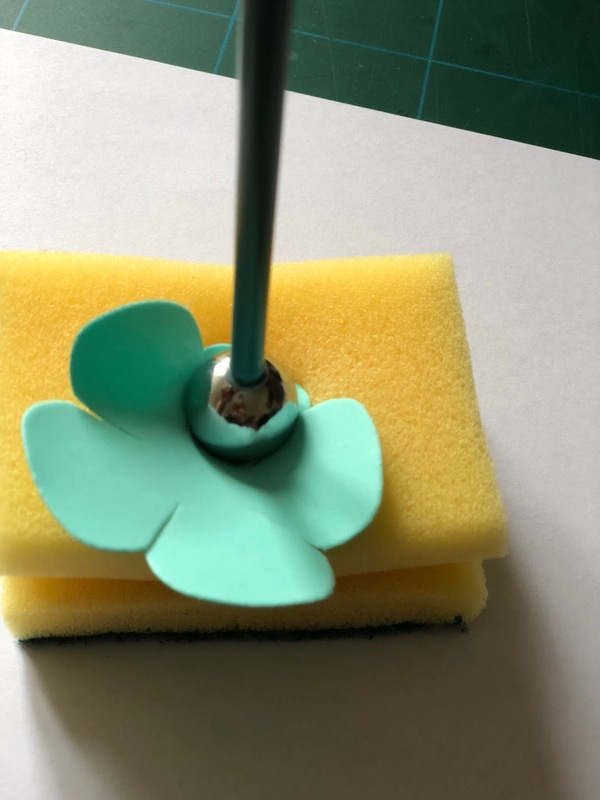 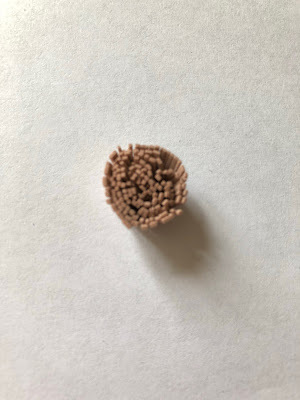 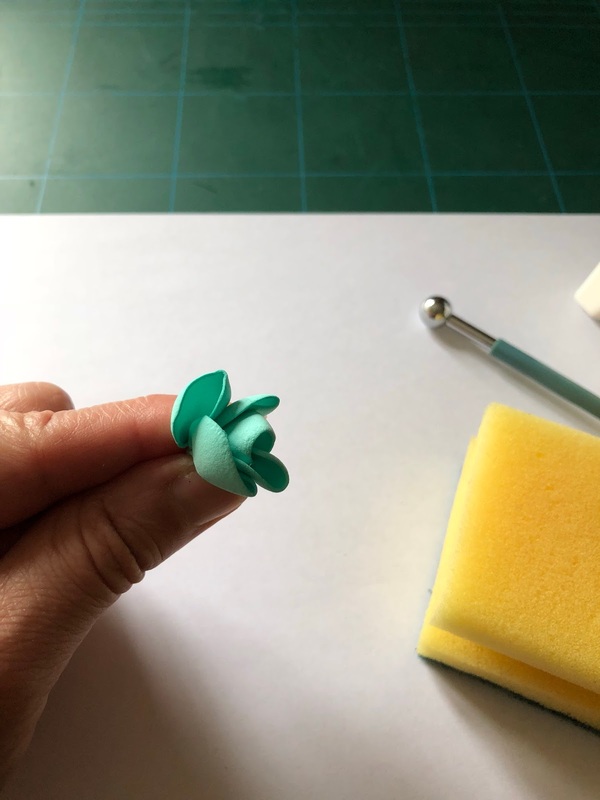 Attach the stamens in the middle of the flower by pressing it on the sponge. Thank you Sue! 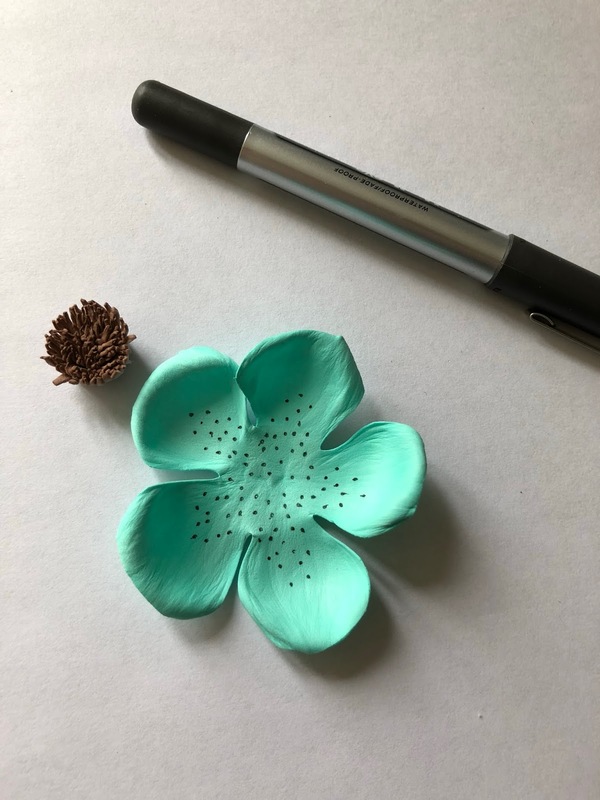 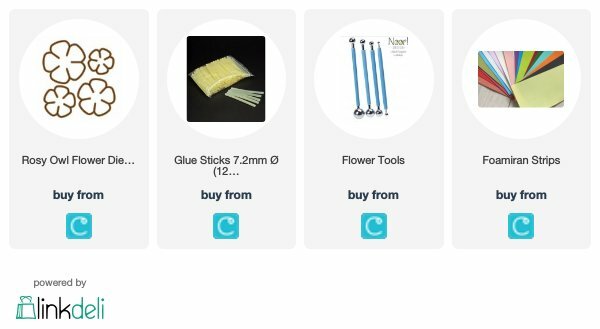 You can make many different flowers using the techniques shown in the tutorial. 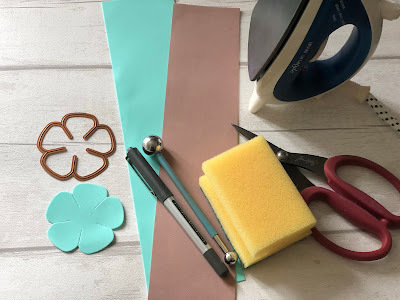 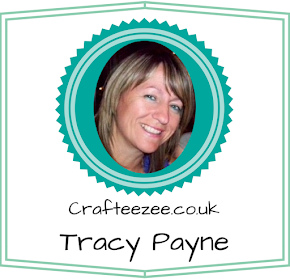 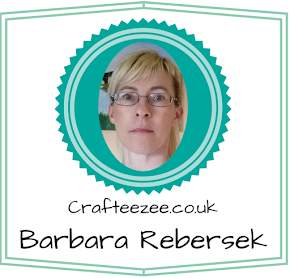 Happy crafting :-! 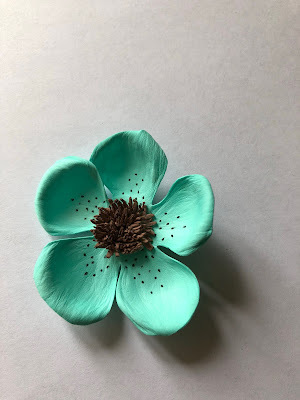 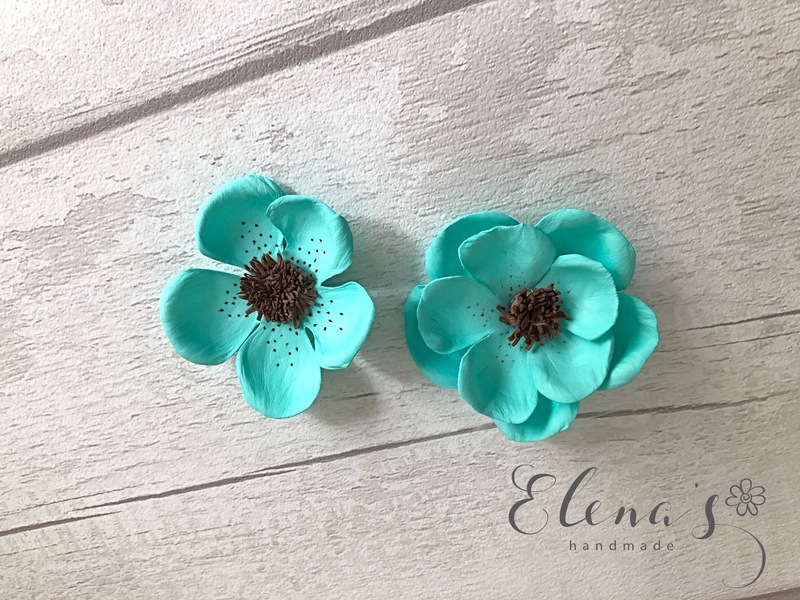 Thanks so much for amazing flowers tutorial.